I had never tried Lancôme products before, and always associated it with being, how shall we say, geared for a more mature audience. But now that Lisa Eldridge (#myidol) is at the creative helm, I thought I would start paying the brand more attention. When Lisa did a tutorial on the new French Innocence palette, I instantly fell in love. 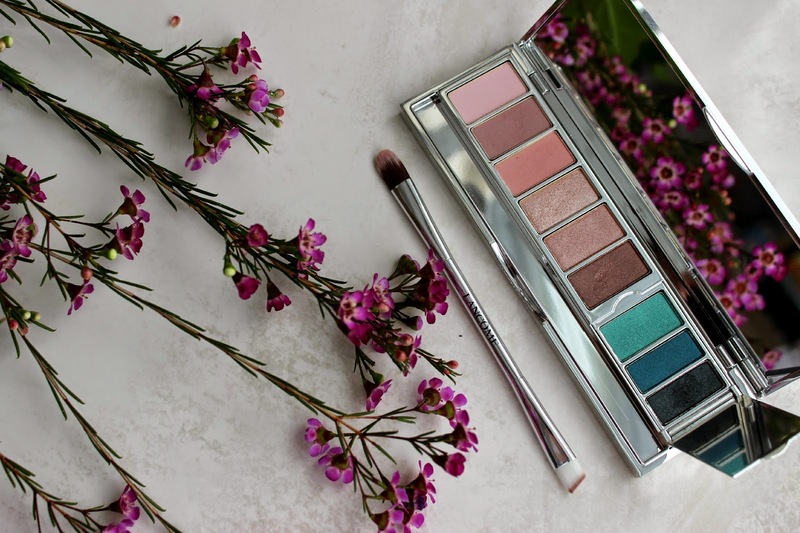 Not only because she was using it (although, a good portion of my makeup stash is now Lisa-approve items), but because the palette is a mix of pink and brown colours; my ideal shades. 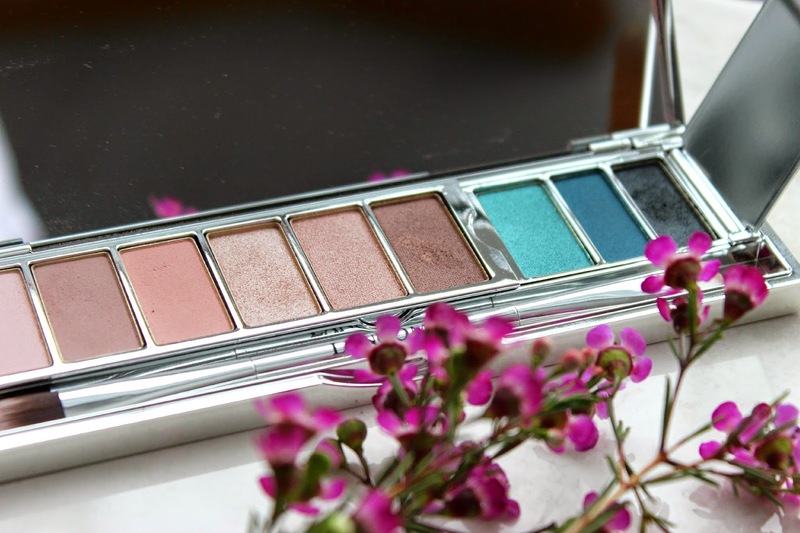 The palette contains 7 eyeshadows and two liner shades. The three left shades (a pink, a taupe, and a coraly colour) are matte shades, and the next four shades are all shimmers, which are very subtle. Although they appear darker taupe and brown in the pan, they are not excessively pigmented, so they go on a bit lighter than you would expect. The blues on the right hand side originally threw me a bit; pink and blue eyeshadow? I had a throwback to my friends birthday party when I was little and my mom did my hair and makeup like Baby-Spice (#spiceupyourlife). The tealy shadow blue is also shimmery, with little colour payoff. It's probably my least favourite and least likely to be used. The navy blue liner (second to last), is a very surprising colour. I didn't think I would like it, but seeing as it is virtually a matte (the tiniest bit of shimmer), it's great to add either just above your lash line, or a tiny bit in the crease/outer v for some added definition. The final liner colour is a bit patchy, and is more shimmery than I generally like my liners to be. Personally, I think the blue colours don't necessarily go with the rest of the palette. I think something along the lines of purple-mauves would have suited the other colours much better. The pigmentation isn't the greatest and is patchy with little colour payoff. But it works well if you are like me and only like a subtle hint of colour during the warmer months. Overall, I would recommend this palette for someone who likes to keep their makeup very subtle and natural, and who has fair to medium skin. I'm still looking forward to see what the brand has in store over the next few months! 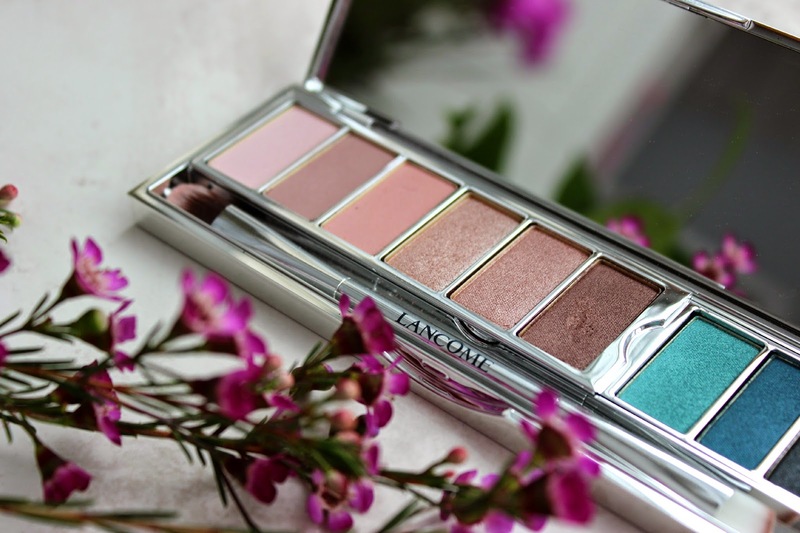 Have you tried out the new Lancôme palette? What are your thoughts?